Founded in the year 1956, by late Dr. Rajendra Prasad Kurukshetra University (KUK) is one of the first higher education institutions of independent India accredited by the Universities Grants Commission, India. It is located on the historical land of Kurukshetra, Haryana. This non-profit, co-educational institution prides itself of offering world class opportunities and amenities, ranging from housing, libraries, sport facilities and activities, financial aids and scholarships, study abroad and exchange programs, online programs, distance learning opportunities and so on. Kurukshetra University enrols over 45,000, both domestic and international students each year. KUK offers 175 different courses from undergraduate studies to graduate and post graduate studies across various fields. KUK has a very selective admissions policy to each of its courses that start off with their own entrance exam and is then based on the candidate’s past academic record. 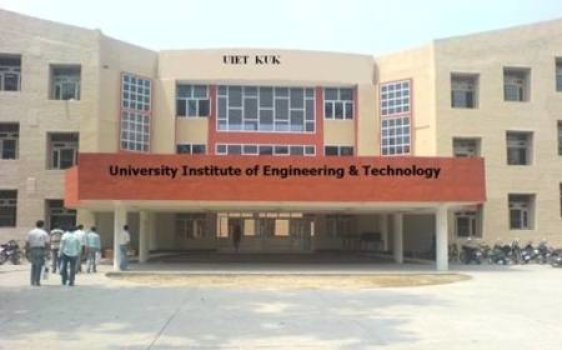 The admission rate of KUK is about 20-30% which makes it one of the toughest higher education institutions in India . The candidates wishing to apply for Kurukshetra university are advised to carefully read the prospectus of the institution and the rules and regulations that are followed, before applying for different courses. The candidates are advised to check the official website periodically to know about different deadlines and extensions. The admission form is made available online. The candidate shall carefully fill out the application form and submit it before 00:00 hours of the deadline date. Incomplete applications are liable to rejection; hence, candidates are advised to fill out all the particulars carefully. The completed admission form should then be downloaded and printed. The admission form along with the online fee receipt of Rs.200-400(Rs.100/- for SC/BC/EBP/Blind candidates of Haryana only) and entrance exam fee (wherever applicable) should be submitted to the institution either by post or physically. The eligibility criteria for different courses and the entrance exam fee is listed in Section I of The Prospectus. Each candidate can apply for a maximum of 4 courses online with an additional fee of Rs.100 (Rs.25/- for SC/BC/EBP/Blind candidates of Haryana only) for each additional application. Each course has a different merit eligibility and will apply to all candidates except for the relaxation of about 5% to SC/ST/EPB/Blind and supernumerary quota for international students. In case of entrance exams, the candidate will be awarded with an admit card that can be downloaded online and then printed. On the day of the exam, the candidate shall carry the admit card without fail. The rules to be followed by the candidate inside the exam room are provided in Section II D.
For the courses, B.A. LL.B.(Hons.) 5-Yr, LL.B. 3-Yr., LL.M. 2-Yr., B.Pharmacy 4-Yr, MBA 2-Yr., BFA 4-Yr., MTTM 2-Yr, MHM&CT 2-Yr., M.Ed. 2-Yr., the candidate will be selected purely based on merit through the entrance exams. The selected candidates are requested to bring all their original certificates on the day of their counselling. No candidate has the right to claim admission merely because they appeared for the entrance exam. At the time of admission, each student is required to furnish their information as per ANNEXURE-XI. After the admissions process, if the student doesn’t appear to classes for the first seven days, then the admission is automatically cancelled. The fee structure is different for different courses and for domestic and international students. NOTE- The above fee is excluding boarding charges, and any other external costs. Fee waiver is applicable only to students belonging to SC/ST/EBP/Blind of the state of Haryana and/or international students belonging supernumerary quota, or otherwise as deemed necessary by the university. Fee of the selected candidates should be paid during the time of admission. The fee can be deposited in SBI, KUK. For some courses, the fee is collected during the counselling process itself. The details of the fee structure is enumerated in Section VIII of The Prospectus. Scholarships and fee concessions are provided as deemed necessary by the university. Students can apply for scholarships providing necessary academic, sport or NCC certificates to qualify to get the scholarship. Full scholarships are provided to deserving students by the Chairperson of the Departments/Principals. Half fee concession maybe provided to the second child of parents with two of their children studying at the university, if the elder of the two students pays the full fee amount. The children of serving military personnel up to the rank of an NCO or of military personnel killed or incapacitated wholly or partly during the war, shall be allowed full fee concession. Blind students may, on application, be granted full fee concession. NOTE- These concessions shall be admissible only to those studying in the university Teaching Departments/ University College. Further information can be found in the prospectus. The university also has 369 affiliated colleges and institutes in Panipat, Kaithal, Hisar, Jind, Ambala etc. The university has been awarded the ‘Green Campus Award’. The university has grade A by NAAC. Registrar information- Dr. Praveen Kumar Saini, Kurukshetra University, Kurukshetra. The placement cell of KUK strives consistently to provide best opportunities to its students. It is tied with various multinational and domestic companies to help students. About 100 companies, including, Infosys, Wipro, Samsung visit the campus to recruit students. The average package is about 4 lakhs per annum. In the past two years about 90% of the students of KUK have been placed during their final semesters. The placement cell trains its students through personality development program, group discussion, mock interviews, assertive training, and decision making.